Tony Stark is a legend in his own time. and now he's a Legend in 3D! 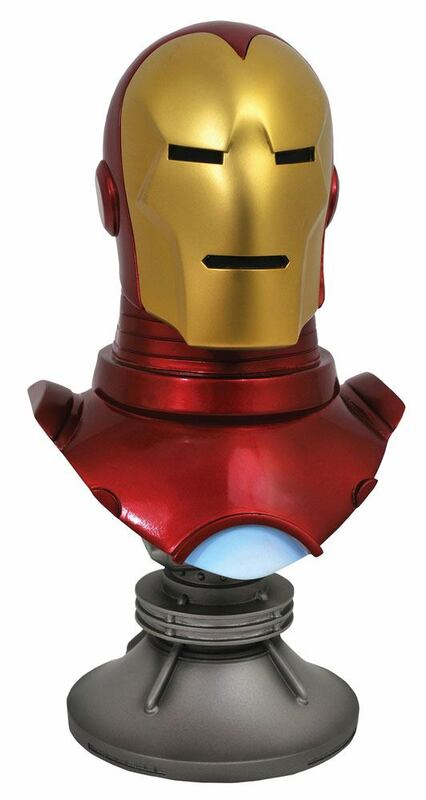 Iron Man joins the half-scale line of resin busts with this shiny portrait of the Avenger. measuring approximately 25 cm tall atop a technological base. Limited to just 1.000 pieces. this bust features detailed sculpting by Joe Menna based on a design by Joe Allard.